Celebrate spinach season with this lean and green scramble. 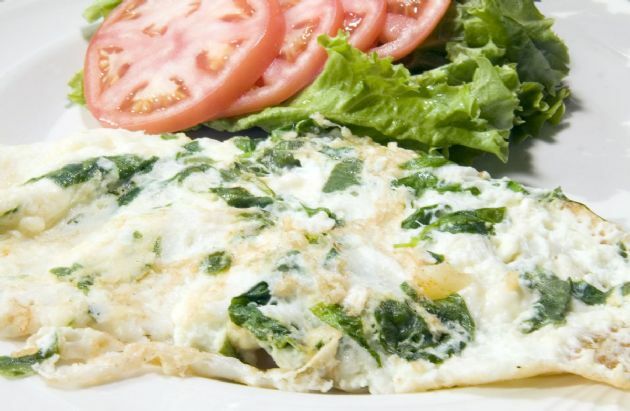 Salty feta and velvety eggs combine beautifully with wilted spinach for a filling breakfast that's high in protein. Celebrate spinach season with this lean and green scramble. Salty feta and velvety eggs combine beautifully with wilted spinach for a filling breakfast that's high in protein. Scramble the eggs up or flip as an omelet! I've been making this for over a year after having it at a restaurant. they called it 'Greek scrambled eggs' and it so rocks! I like to add olives (or garlic stuffed olives) into the mix, and red onion sliced into rings.